The term “hacker” carries with it several connotations, with meanings that are both positive and negative. Among the positive descriptors, the word “resourceful” comes to mind. So, when faced with the possible reality of SOPA being written into law, a group in Germany has decided to take action instead of throwing up their hands and giving up. If the United States is going to lock down the current version of the internet, they plan to make their own by launching a satellite into orbit. An ambitious undertaking, but one that is actually feasible with the lowering of costs associated with putting a payload into space. Introduced at the Chaos Communication Congress in Berlin, the plan calls for the launching of a single satellite into low orbit that would communicate with a series of ground stations to create an independent network. Called the Hackerspace Global Grid (HGG), the network would operate like a GPS system, only in reverse. In theory, the plan would give users continuous access to the network by using the ground stations as a global relaying system. When one base station is in range of of the satellite, it would take the signals received and re-broadcast them to the rest of the network it was a part of. In theory this plan can work experts have said, but there are hurdles — chief among them being financial. While not nearly as expensive as in decades past, space travel and payload delivery is still costly. The price tag on building a satellite with equipment that can handle the rigors of space can still run in the millions of dollars, making it an expensive enterprise indeed. Couple that with the fact that no single country can govern space itself, there are no laws to protect the HGG orbital device. Any country could come along and try to disable it with no ramifications. As far as logistical hurdles, unless the HGG satellite is in geosynchronous orbit, it’s going to be very difficult to track. 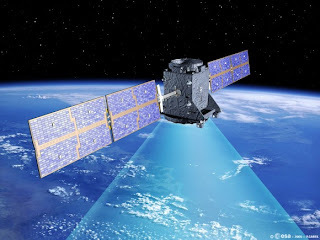 Instead of having a known point in space where the device travels at the same speed as the Earth so appears to not move, a low orbit satellite would be moving very quickly. Even if the team behind the HGG could put it out far enough for geosync to be accomplished, the distance might be too great to get a good signal on the ground. Nevertheless, the group is moving ahead with plans to develop the ground stations and communications protocol they are going to use. They plan to have two ground stations deployed by the next Chaos Communication Conference, as well as having a stock available for purchase by private individuals. If you’re as fascinated with the project as we are, you can get involved by checking out Constellation, a project that the HGG has joined for collaboration.